Most people know that DNA is the 'blueprint of life' and is located in every cell of the body. In addition to each chromosome's 2 strand double helix of DNA, there are an additional 10 etheric strands of DNA available to each human, which have been dormant since the beginning of recorded history. Each additional strand possesses attributes that permit the individual to perform greater human accomplishments. Scientists acknowledge that we currently only use 3% of our current 2 strand DNA. Thus we live in a society where people are sick, unhappy, stressed out, create wars, have difficulty experiencing love, and are totally disconnected with the universe. Most people have to meditate for many years or take the short cut through psychedelics just to have a 'mystical' experience, that's how disconnected we are now. WILL be the ones leading us into the future. 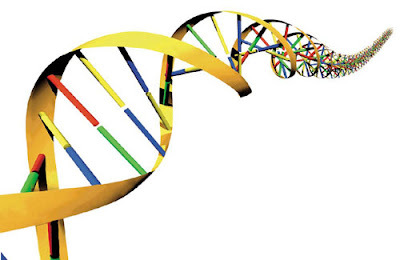 Complete DNA activation could be own of the outcomes of 2012. I hope so! strands of my DNA and also gain clarity on what MY individual purpose to the grand scheme of things is. I know i have much more potential within my mind but i have too much going on in my mind to focus my thoughts...does anyone have any advice on where to go from here? I feel a deep yearning for meditation...more specifically, merkaba meditation but have not begun the tantra involved. Please give me some advice so i can further assist humanity. I was diagnosed with Hyperactivity when i was a small child, and generally get bored with most things, apart from spirituality and growing plants, my new passions. I heard about indigos a couple of years ago, along with many other spiritual concepts. I am open minded and think its the next step in our consciousness development. Evolution in action. I can't help but wonder if the film x-men bears relation to indigos, like the makers know something about it. I look at professor x's school for 'Mutants' and figure it could just be a metaphor for indigo children, interesting. I have found reiki, Qi gong, subliminal soundtracks and organic food to really open up the pathways to what i consider the consciousness indigos are intended to attain and distribute - Christ consciousness. This could be why occultists in society are keen to debunk indigos and discredit it, because they fear it intensely. Check out the video game indigo prophecy to see what i mean. My theory holds water as in this video game Indigos are portrayed as the opposite of what they truly are. In the game they are portrayed as psychopathic killers, ha, only a satanist could come up with such a perverted view of the situation. i display every last sign of this indigo theory, my counselor in school even told me quote "Your too smart for your own good" they tried to pin every label on me, add adhd, but i knew i was smarter than all of them, they simply had nothing to offer me, nothing to feed my brain what it wanted. I find these posts interesting. I just learned about indigos in the past year. I think I'm an old one (early 30s). I have had many strange experiences my entire life and have more and more as time goes on ... knowing things about people that I shouldn't and many other experiences I can only describe as telepathic and other times sharing dreams between several people at once, etc. Ive always had an urge to help humanity.. Some way some how, it was always in the back of my mind.. Im a lightworker, and i have to say, people now a days are getting more and more curiouse, and im the spiritual being thats there to guid and show the truth... We humans where no mistake, but a "project" to see if WE could find out true spirituality without it handed to us (as in only being able to use 10% of the brain, having to spiritually activate DNA) Like it is in other demensions. Man oh man. I have taken many different routes to the path of finding the keys and opening the doors. I have known I have had some sort of unique abilities to other undividuals. Through the "short cut" door, I am now a recovering addict. Fortunately, there are tons of books and videos on spirit science and sacred geometry without destroying my body, mind and spirit. I haven't found my purpose yet but I still enjoy living and positively helping others with my gifts. Totally awesome website guys. At work atm so should not be online but when I get home Ill be back. . . Got Looaadds to talk about! To be honest this movement seems extremely real. My whole life I have felt like I was meant to do something extremely important. One day a couple months back I took 7g of magic mushrooms and I peered into my future for 5 minutes. I was a part of some revolutionary discovery that would change everything. Ever since then my motivation to understand dna,genetics,biology, and chemistry has gone into 6th gear. #90s kid# adhd# science # for the human race.